Middle Earth Map, which I have framed. It's inspired by Google Maps! 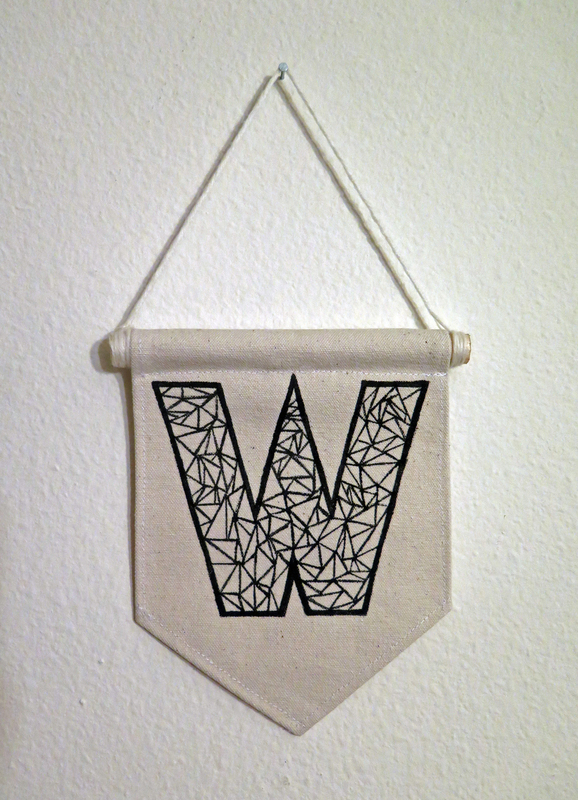 Banner with the letter W on it (my last name, duh). 2016 composer calendar. I have to wait until December to enjoy Bach, I'm pissed. He's my fave. Pine tree stickers, I put them all on the balcony wall. It's an easy way to decorate. I've been an Etsy member since 2011 and my first purchase was a Mockingjay sticker (long live Katniss Everdeen). Ever since then, I've been obsessed with Etsy. So many cute little shops to explore! I might create my own Etsy shop sometime soon. I have too many designs stuck in my head. I'll bless y'all with a pic of my Hobbit Lego sets. Yes, I know. I need more. I feel like I haven't posted in awhile. It's been sort of busy, but not too hectic. Just a lot of fun things going on! We had our friends Daniel and Bo come over for Christmas. We all made food (I was in charge of the gravy, creamed corn, and mashed potatoes) and ate until we couldn't anymore. Our plates were so packed with food, it was amazing. I do think it was the biggest plate I've eaten in my entire life. Bo made stuffing and a kale salad, which reminds me.. I gotta ask her for the recipe. Her salad is now in my top 5 salads in life. Kai and I ate all of the leftovers and it took a couple of days to finish it all. I'm proud of what I made, all thanks to Chef John. The gravy was pretty simple to make and from now on, I'll be making homemade gravy whenever I have a chance. The creamed corn was thick and flavorful. His secret is "a pinch of cayenne." People actually get mad at him for always using cayenne in most of his meals and leave rude comments on his videos, but they're just haters and have too much time to think. Christmas was a very relaxing day and my family did such a good job with the presents they gave me and Kai! My sister Abi bought me a book explaining the atlas of Middle Earth, the WiiU game Yoshi's Wooly World (I've already completed it), and a jean jacket that I've been wearing everyday. My sister Eunice bought me two of the most comfy scarves ever and a Barnes & Noble gift card, which I've already spent on a Lego set of the Space Needle, some cool lookin' color pencils, and a book about watercolor. Out of all the mediums, watercolor has to be my favorite. I used to hate it when I took a watercolor class, but I think that's why I ended up loving it so much because you really can't control every stroke. The color moves and finds areas on the canvas that forces me to look at the picture differently and maybe create something completely different from what I was hoping for. My mom and dad bought me a raincoat and I've been in desperate need of one. I might buy another one actually just so I have different colors and styles. A couple of days ago, Kai and I were invited to a holiday dinner at Fat's hosted by our friend George. Fat's is a Southern type of restaurant and their mac and cheese is yum, along with their greens. It was more of a private holiday party, so obviously they were passing out dishes and dishes of fried cat fish, fried chicken, rice and beans, mac and cheese, fried oysters, ...maybe not a dinner, it was more of a feast. A family feast. That was probably my second biggest dish I've eaten. I love fish so much, especially when it's fried. That's a fat joke. For New Year's Eve, Kai and I decided to stay at home and make burgers. I was thinking of ideas to go out and celebrate, but it was cold outside and we weren't in the mood. The burgers were on point and the fruit smoothies Kai made as well were bomb too. We gamed until it turned midnight, completed the celebration with a New Years kiss because awww, and then we went back to gaming. That's probably why I'm done with the Yoshi game. I played it for a couple of hours straight. Other than that, December has been fun. Kai had no shows the entire month, and now that the new year is here, he'll be in Brazil, Europe, and random places. I'm thinking taking a trip to LA while he's in Brazil touring for Da Rocinha 3 with Joe so I can spend some QT with my Amy. Too many things that I've learned from 2015. I'll post about that tomorrow.